So, he is alive. After an extensive absent from the spotlight, Rupert Grint re-emerged with a role in an upcoming Beach Boys biopic about drummer, Dennis Wilson. While Emma Watson and Daniel Radcliffe have quite successfully moved on in their movie careers after the completion of the final Harry Potter film; Rupert Grint has been terrifyingly absent and almost landed himself in the “child actor” category. But fear not, dear reader… All is not lost. Grint has been cast in Beach Boys biopic – The Drummer; the film is focusing on the last six years of the band’s drummer Dennis Wilson’s life, before he tragically drowned while intoxicated in 1983, aged 39. 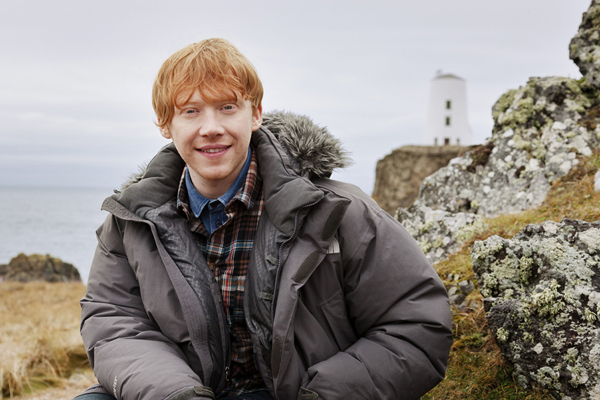 Grint is cast to portray Stan Shapiro, a mailroom intern who became Wilson’s unlikely confidante. Aaron Eckhart has taken on the pivotal role of Dennis Wilson, while Vera Farmiga is set to play Fleetwood Mac keyboardist Christine McVie, Wilson’s girlfriend. Chloe Moretz has also been cast in the film. There ye go, Grint is not going anywhere. The film will call for an American accent, which will be all kinds of fun for the actor to imitate. We can’t wait.